Sometimes it's difficult to distinguish insanity and cleverness. I must be weird? Or crazy? Or do I have a "secret" other people do not know about? The answer is a resounding yes (to both questions)! In that picture, I'm wearing what are called "blue-blocking glasses". I always wear these blue-blockers glasses after sunset. Well, these glasses block all blue (and most green) light. In other words, blue and green wavelengths of light do not enter my eyes after sunset. You're probably thinking "what are blue and green light?" And "why do I need to block blue and green light?" Well, let me tell you about light. 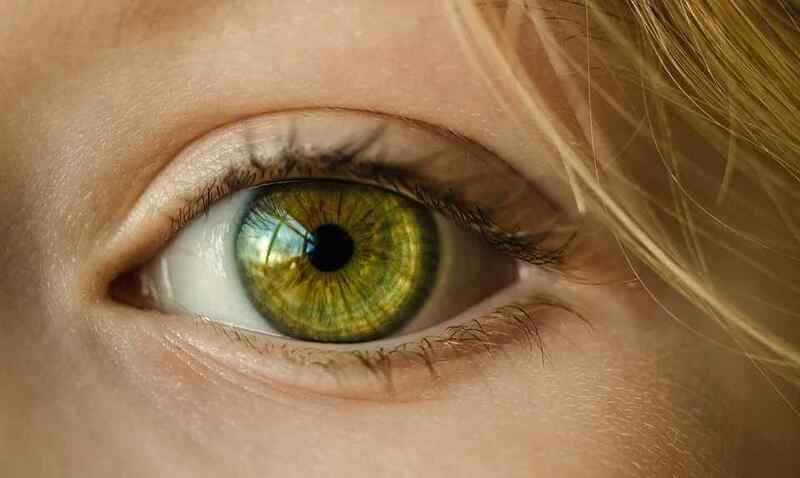 When blue and green light enter your eyes, they have a huge impact on your biology. So light not only illuminates the room, but affects your body's biology as well. Wearing these glasses after sunset results in more energy during the day, deeper sleep, clearer thinking, and improved well-being. How do these blue-blocking glasses exactly improve energy and mood? That's what I'll tell you in this blog post. First disclose a story about how and why I developed this "weird" (but necessary) habit. Then dig deep into the science of blue and green light (mostly for the nerds out there). (Disclaimer: In the course of this article, I have included more advanced "nerd sections" about light. If you just want to understand the principles behind blue blocking glasses, you can skip these "nerd sections". Using that strategy, everyone knows what actions to take, while not having to read up on all the science). Have you fastened your seat belts? After reading this whole post, you'll want to be a weirdo too. Let's start with my story. 5. Why Blue Blocking Glasses Are Essential For More Than Just Melatonin. It was 3AM. Tuesday night. Reading on the internet. But I could not sleep (yet). For years, I had convinced myself that I'm a "night owl". I had convinced myself that it was "normal" to stay up until 1AM or 3AM. I had convinced myself it was normal not to be tired late in the evening. I also thought it was normal that you could not sleep immediately in the evening. You see, you are supposed to get tired during the late evening. And the other side of the equation entails that you are supposed to have plenty of energy during the day. Because I stayed up until late at night, I thought I had great energy. In my mind, I linked having great energy to being able to stay up late. Being young, I probably got away with sitting in front of a computer late at night. Since then, I've nevertheless corrected that (bad) habit. Breaking that bad habit allowed me to improve my energy levels enormously. Why settle for less energy if you can have a (lot) more? You see, light exposure during the evening and night was an elephant in the room that I did not take into account back then. That elephant is overlooked by everyone in modern society. That elephant causes your energy levels and health to be lower than they can be. Staying up until 2AM or 3AM only gives you the illusion that you have great energy levels. But it's only the artificial light allows you to stay up that late. When not exposed to toxic artificial light, you'll automatically go to sleep during the late evening. Don't get me wrong. Most artificial light is bad for you during the day as well. But artificial light is especially toxic at night. All of these previously mentioned light sources put out tremendous amounts of blue and green light. Stay with me, I'll tell you how this happens soon. Let's first return to my story. When I was sitting in front of my computer screen at 3AM, little did I know about the extent that light influenced my sleep quality. Even though I was young, I did not sleep as well as I could. Like most people, I just did not feel the effects of blue and green light. For most people, the effects of light during the night are very subtle. Most people never learn about how much blue and green light destroys their sleep quality, until they start actually blocking blue and green light. You cannot rely on your feelings regarding how blue and green light are influencing your sleep quality. "But Bart, I don't need blue blocking glasses. I already sleep well!" They assume that they can get away with blue and green light exposure at night. These people assume that they do not need blue blocking glasses. The fact that you do not feel light influencing you, does not mean that light does not influence you. Human beings are great at perceiving when something changes. But you probably no longer perceive anything that has stayed the same for long periods of time. That's why you cannot always feel what is happening inside your body. Or perceive something that is happening right before your eyes. Even though something might be slowly killing you. The solution is that you must test whether something is influencing your biology - such as blue and green light. Only testing will give you clarity. Only after testing blue blockers, will you realize that blue and green light exposure after sunset are lowering your health. 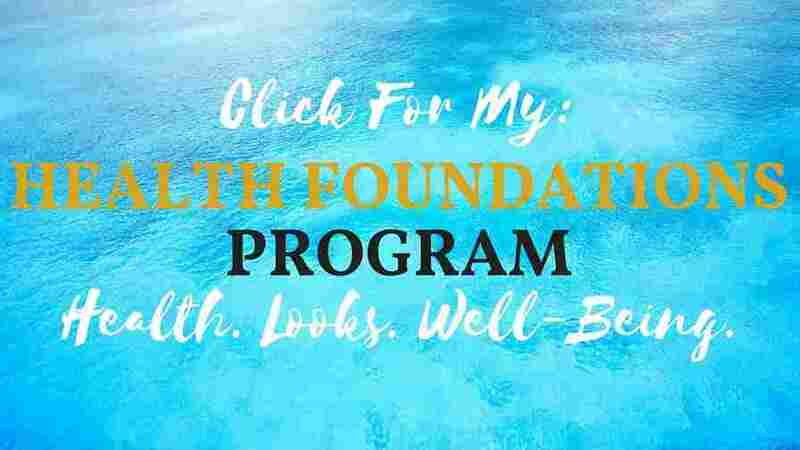 How do I know that our feelings lie in the relation to health? You might feel that you've gotten "used" to eating large amounts of unhealthy vegetable oils (commonly called polyunsaturated fatty acids). You might feel that you've gotten "used" to living in areas that contain lots of pollutants, such as inner cities. You might feel that you've gotten "used" to eating excessive sugar. In essence, most people no longer feel the difference between healthy and unhealthy behavior. The same is true for our light environment. You might feel that you've gotten "used" to being around toxic amounts of blue and green light at night. You might feel that blue and green light do not harm you. No, I don't have a problem with feelings. I just have a problem with people not measuring how something is affecting their health. That's why you must always investigate your feelings, in the same way you investigate arguments and presuppositions. The previous air pollution example is a great analogy as of why you cannot conclude on the basis of feelings that blue and green light do not harm you. Only after camping for a few days, will these symptoms "magically" go away. You'll only conclude that after testing. The same is true for blue and green light exposure: the only way to find out that these light frequencies are ruining your health, is block them for a period of time. You will then realize that you're sleeping better. This lesson was true for me as well. For a long time, I knew that blocking these light frequencies might help. But I only became fanatically convinced that these light frequencies damaged my energy and sleep after blocking them for some time. Why do blue and green light matter that much? Well, let's have a deep look at what blue and green light are. That way, you can better understand why both are damaging you after sunset. You'll later learn how to avoid exposing yourself to these frequencies during the evening using blue blockers. To investigate blue and green light, we have to take a look at the "light spectrum". At first sight, the term "light spectrum" seems difficult. Nevertheless, everyone is acquainted with that light spectrum. 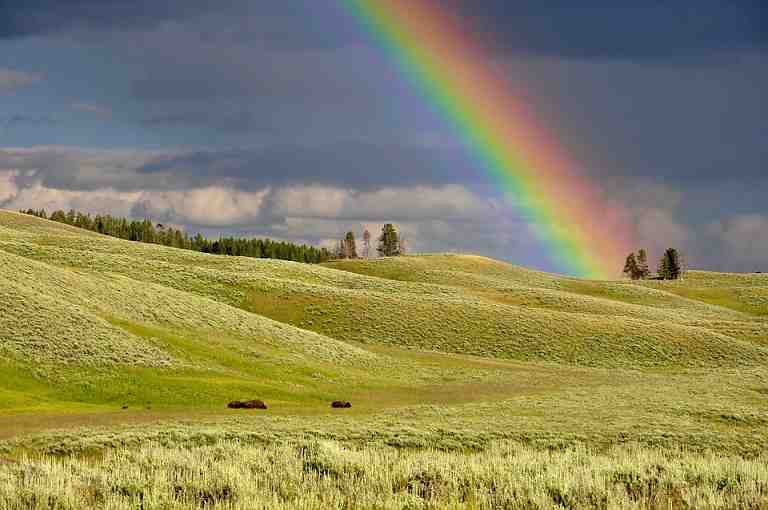 Those rainbow colors make up all the colors of what is called the "visible light spectrum". Different colors have different wavelengths. (From a physics perspective, each color has its own wavelength(s). These wavelengths are measured in nano meters. Wavelengths between 400 and 700 nano meters are visible to the human eye. So all the colors between purple and red can be found between the 400 and 700 nano meter range. Red light, for example, is located between 620 and 700 nano meter wavelengths. Blue and green light, are located between the 425 and 600 nano meter wavelengths. 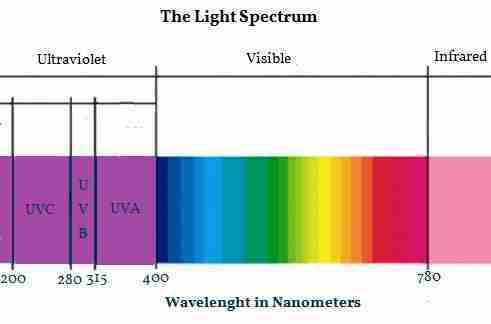 Below 400 nano meters, there is are the ultraviolet wavelengths. And above 700 nano meters, the infrared wavelengths are found. Both ultraviolet and infrared are invisible to the human eye. For the current article you're reading, the ultraviolet and infrared parts of the light spectrum do not matter that much. In this blog post, I'm focusing mostly on blue and green light. Why am I telling you about the wavelengths of visible light? Because different light wavelengths have unique biological effects. As human beings, we've evolved to be exposed to certain frequencies of light at very specific times of the day. So, there's a specific time of the day you should be exposed to blue and green light. And there are specific times of the day you should not be exposed to blue and green light. These people live with the sun. When the sun comes up in the morning, they wake up. Several hours after the sun comes down at night, they go to sleep. Because they live under the sun, they are almost exclusively exposed to the light spectrum of that sun. Let's talk about the sun's light spectrum, and why that light spectrum matters. The sun emits a lot of blue and green light during the day. The higher the sun moves up in the sky, the more blue and green light reach the earth's surface. In simple terms, blue and green light are only present when the sun is higher up in the sky. (You can see the light spectrum of the sun during the afternoon in the picture below. Observe that there is a lot of blue and green light (425-600nm) during that period. This graph displays the sun's light emittance that reaches the earth during the mid-day. The light spectrum of the sun at sunrise is very different than the light spectrum at noon. During sunrise, a lot of red and infrared reaches the earth's surface, but less blue and green light. Blue and green light emitted by the sun are only present during the day. Blue and green light give your body the message that it's daytime. Blue and green light tell your body to wake up, and stay awake. Remember the African tribe example from before? These African tribes are exclusively exposed to blue and green light during the day, because they do not have any artificial light (other than campfires). Their campfires do not emit any blue or green light, but just red (and infrared) light. That red and infrared light does not affect your sleep. So, the people living in the African tribe are never exposed to blue and green light at the wrong times. You, as part of our "advanced" and "modern" society, however, are exposed to blue and green light at night everywhere you go. Smartphones, television screens, and artificial lighting, are exposing you to lighting conditions that have never existed for humanity before. For hundreds of thousands of years of human evolution, we were never exposed to blue and green light during the late evening or night. However, the artificial light that emits a lot of blue and green light has only been around for more than a few decades. The evenings of your ancestors were thus fully free of blue and green light. Even 150 years ago, our evenings were free of blue and green light. The light in your environment is thus very different than the previous billions of years. Now that you understand how blue and green light at night is a new phenomenon, let's look at why they make you sick at night. We slowly get to the clue of this story. Light in our environment does not only work as illumination, but light has biological effects. In nature, blue and green light are only present during the daytime. Artificial light has made blue and green light available 24/7 in our society. Artificial light makes your brain think it's daytime. What do I mean with light having "biological effects"? You probably know about the biological effect of ultraviolet light. Most of us have experienced a sunburn at some period of our lives, because we stayed in the sun for too long. That sunburn is a direct proof for you that light has biological effects. It's a simple cause and effect relationship. You got exposed to light, and the biology of your body was influenced. Before getting into the sun, your skin was normal. And after staying in the sun (for too long), you became and stayed "red". Conclusion: you have already experienced the biological effects of light. Most people think that only ultraviolet light has biological effects. But to the contrary, all wavelengths of light have biological effects. You are probably consciously aware of the first mechanism - our skin - if you have ever experienced a sunburn. However, you might also be aware of the second mechanism - our eyes - but in a different manner. How are you aware of the biological effects that light has through your eyes? Well, you probably turn the lights off when you go to sleep at night. Turning off the lights before sleep means that you're at least subconsciously aware of the biological effects of light via your eyes. You thus already know that it's harder to sleep under bright light. What you are probably are not aware of is the massive extent to which light influences your biology through your eyes. In reality, when light hits your eyes, the effects of that light can last for hours. For hours after the light enters your eyes, light will continue to have biological effects. So, just turning off the lights when you go to sleep is not enough to get great sleep. Instead, blue and green light need to be absent from the eyes for several hours for optimal sleep quality to be possible. Remember your ancestors. These people were not exposed to blue or green light after sunset at all. It is the absence of blue and green light causes buildup of the hormone melatonin in the brain. Blue and green light exposure to the eyes, on the contrary, prevent melatonin buildup. An example: let's say that you're exposed to blue light at 9PM. That blue light consequently affects when you want to go to bed at 11PM. Your eyes not only allow you to see. Your eyes also signal to your brain whether it's night or day. The eyes help signalling whether it is daytime or nighttime via the brain, when blue and green light affect them. That light reaches your brain and affects what is called the "circadian rhythm". The circadian rhythm stands for a 24,2 hour "master" clock in our body. That master clocks keeps track whether it is day or night in your body. Blue and green light influence that master clock. The more blue light and green light enters your eyes, the more your brain will think it's time to wake up. If blue and green light do not enter your eyes, your brain will "think" it's time to wind down for the night. Melatonin is a key hormone in this circadian rhythm. Besides sleep quality, melatonin is responsible for lots of processes in the human body. High melatonin levels are associated with preventing cancer [4; 9]. Having higher melatonin levels in your body seem to inhibit tumor growth, and prevent tumors from "spreading" into other areas of the body . Melatonin plays a major role in our immune system [6; 7]. Low melatonin levels are associated with sleep deprivation [3; 8]. And sleep deprivation, in turn, lowers your ability to think clearly. Sleep deprivation also lowers your physical performance. Higher melatonin levels are associated with better moods . Melatonin may help prevent autoimmune diseases, such as Parkinson's disease, fibromyaltgia, or MS [11; 12; 13]. These effects, however, have currently mostly been demonstrated in animal studies. Melatonin lowers pain and anxiety [14; 15]. Even traumatic stress might be lowered through returning the body to the right melatonin levels. You need the right melatonin levels in your body to sleep well and be healthy. There's no way around having optimal melatonin levels in your brain at night, if you want optimal health. The best way to keep your natural melatonin levels high is to buy a high-quality blue blocker. Using blue blockers is exactly what I will argue for in the remainder of this article. There's no avoiding blue blockers if you want to achieve optimal health in modern society. Without blue blockers, you would have to exclusively expose yourself to campfires and candles after sunset. All other light sources would have to be eliminated. Exposing yourself exclusively to campfires and candles after sunset basically means that you cannot eave the house - there is light everywhere in our modern society at night. If you're exposed to light, there there are no viable alternatives to wearing blue blockers. But let me build an even stronger case for the necessity of blue blockers in modern society. I can already hear you ask: "but Bart, can't I just supplement with melatonin instead of wearing a blue blocker?" In fact, the effects of light reach much farther than just affecting your melatonin hormone levels. Light influences other hormones as well, such as cortisol, growth hormone, and testosterone [20; 21; 22]. Blue light can even raise your insulin and blood sugar levels [23; 24]. Supplementing with melatonin will not prevent blue and green light from influencing all these other hormones. To avoid the negative effects of the persistent light that's everywhere in our society, you'd have to supplement to control all these other hormones as well - such as cortisol and insulin. Controlling so many hormones through supplementation is impossible. So, if you want optimal health, you need to wear blue blockers at night. Air pollution or smoking are - again - great analogies here. For decades, it was very hard to avoid cigarette smoke when you left the house. But if you wanted to avoid the negative health consequences of the smoke, you still had to avoid exposing yourself. You were probably considered weird back then, if you refused to live in buildings polluted by smoke. Most people in society will think you're weird when wearing blue-blocking glasses. But you need to wear these glasses for optimal health. You have to protect your sleep, energy, and health. Health should always have your first priority. Without health, you cannot achieve or do anything in life. Now that we've concluded that melatonin supplementation will not give you the benefits of wearing blue-blockers, let me give you one last reason why blue blockers are absolutely necessary in modern society. Even if you thought it was impossible, the story turns worse. There's an additional problem with our society's evening and night illumination. You see, there's not just one day and night cycle in your body. There are many day and night cycles. To explain why there are several day and night cycles in your body, let me give you another analogy. Remember the previous master clock in your brain. That master clock is the main governor of your circadian rhythm. The word "circadian rhythm" here, can be understood as your day and night cycle - or light and darkness cycle. One Master Clock--many individual clocks. 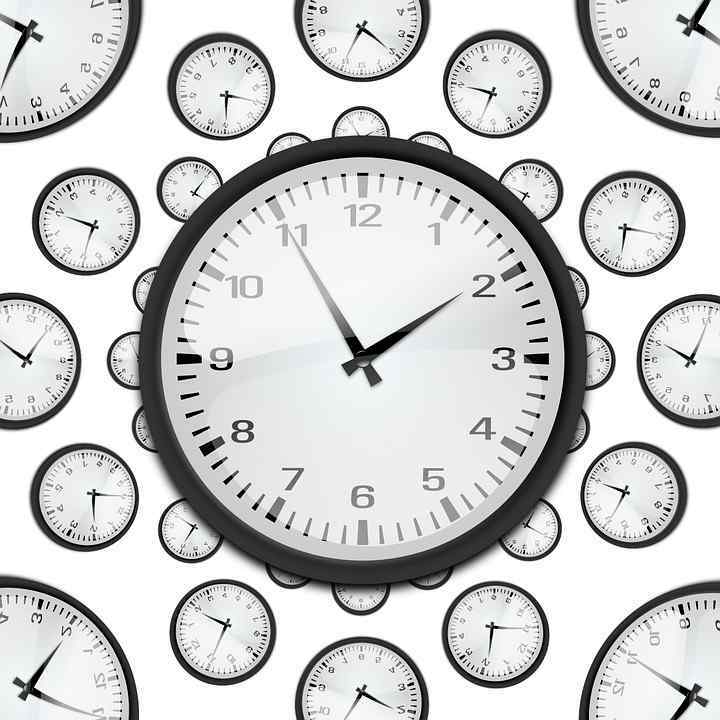 All these clocks need to work together for your body to perform optimally. When you expose yourself to light at night, this means that there will be a fundamental mismatch between the master clocks and the other clocks in your body. Your main master clock is influenced by light that enters your eyes. If blue and green light enter your eyes at night, those light frequencies will alter the time displayed at that master clock. The master clock in your brain will no longer display the same time as the clocks that can be found your body's other cells. If the clock inside your brain and clocks inside your cells are not synchronized, then problems emerge. You thus need to protect your body's clocks, by exposing your body to the light stimuli it has evolved under. The timing your body is exposed to light needs to be correct. Let's make another analogy here. That analogy will help you understand how these different clocks in your cells, and the master clock in your brain work together. Let's say you're leading a sports team. You'll give the wrong command at the wrong time. Finally, playing the game becomes impossible. If you are exposed to blue and green light at night, the same "miscommunication" happens between master clock in your brain and the clocks in your body's cells. For optimal health, the master clock and the clocks in your cells need to be able to communicate. And to communicate properly, these clocks need to run synchronously. Simply put, all your body's clocks need to display the same time. Light manages the time these clocks display. All these clocks have evolved to be exposed to sunlight during the day, and have evolved to be exposed to darkness (an absence of light) after sunset . A high-quality blue blocker is the best way to protect your body against the harmful effects of too much toxic light at night. Melatonin supplementation cannot prevent the problem of the clocks no longer running in synchronicity. Let's look at why our modern environment almost ensures that our Master clock and clocks in our cells mis-communicate. It's not just smartphones and tablets that emit lots of light at night. You're not even safe from blue and green light outside your home, due to all artificial lighting. Your body is built (by evolution) to sleep under the latter sky. The amount of light intensity in cities, however, is currently at least 30 times as great as before the invention of modern artificial light . Other calculations paint an even worse picture. (Sitting close to an average lamp at night, for example, can bring about light intensities that are millions times as bright as the night sky of our ancestors ). All that light creates a mismatch in your biology. 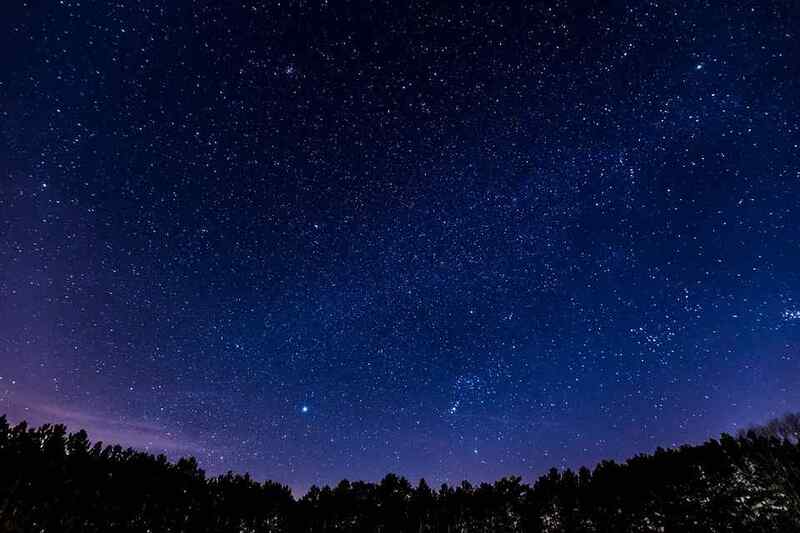 It's very sad that there's no real night sky in the "civilized" parts of our planet anymore. The same problem is true for the inside of our homes. 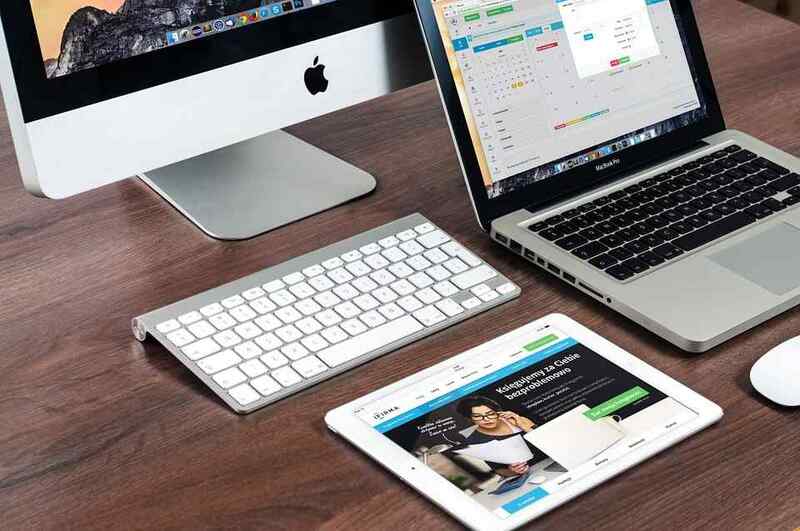 Americans currently own 3.64 digitally connected devices per person . That number does not even include televisions. All these devices put out massive amounts of blue and green light. What's worse is that blue and green light is even more damaging to your children than adults . Most children grow up with these devices nowadays. They should not. But to return to the problem of blue and green light at night:. Even if you dim your indoor lights, they still influence the circadian clocks in your body. Outdoor lights are equally problematic. Your eyes need darkness though. To simulate that total darkness, you thus need blue blockers at night. There's no supplement you can take to avoid wearing blue blockers. Scary right? It was for me too. But I've accepted that I need to wear blue blockers during the night. I also hope I've convinced you that blue blockers are a must. Let's now have a look at getting you the highest quality blue blockers that I could find. I would not help you if I only described a problem, without offering a solution. I've done all the research, and can make the recommendation that helps you get the best blue blocker. I'll make you a promise: on this blog: I'll only recommend the best products for you. I've looked at many different blue blocker brands. I've long searched for the highest quality. The blue blocker should be effective at blocking both blue and green light. Most blue blockers fall short of blocking green light. Most commercially available blue blockers do not even block all blue light either. Additionally, there are a lot of misleading advertisement regarding how well blue blockers work. Sometimes a company claims that their blue blockers blocks 100% of blue light, while in reality, the glasses only block 70%. When blue blockers do not block 100% of blue light, this will be problematic for your biology. The blue blocker should look good enough to wear outside the house. To be frank, most blue blockers look absolutely terrible. I consider myself to be pretty ballsy, but I would not leave the house with blue blockers that look like I just exited a factory. Hence, blue blockers need style. I know that style is important for many other people. I've talked to many people over the years about blue blockers. I know that many people think style is very important for choosing a blue blocker. You might be one of these people who think a stylish design and frame is important. So, if possible, the company selling the blue blockers should offer multiple models and frames to accord to the different tastes that people have. Blue blockers should just look damn good. The blue blocker company should offer their glasses for customers who wear glasses for nearsightedness or far farsightedness. Only a few companies offer such a service. Nevertheless, a lot of people have eye problems in modern society, and would need prescription blue blockers at night. So, the company should offer a prescription option. The blue blockers should be easy to order. No appointment in a physical location should be needed to order the right model and prescription that you need. Everyone should be able to order a blue blocker online. This criterion disqualifies most national and local shops. I want to be able to offer high-quality blue blockers to anyone living in the civilized world. The company should accord to the mission of this blog. The mission of this blog is to get more people to quit ruining their health through light exposure at night. The missions is also to introduce you to practices that help your health - such as sunlight exposure and meditation. Companies that sell blue blockers just for profit, without having a long-term vision on health, are no long-term strategic partner of Nature Builds Health. All-in-all, I'd like a company that stays close to Nature Build's Health vision. After looking at all these criteria, there's one clear winner. 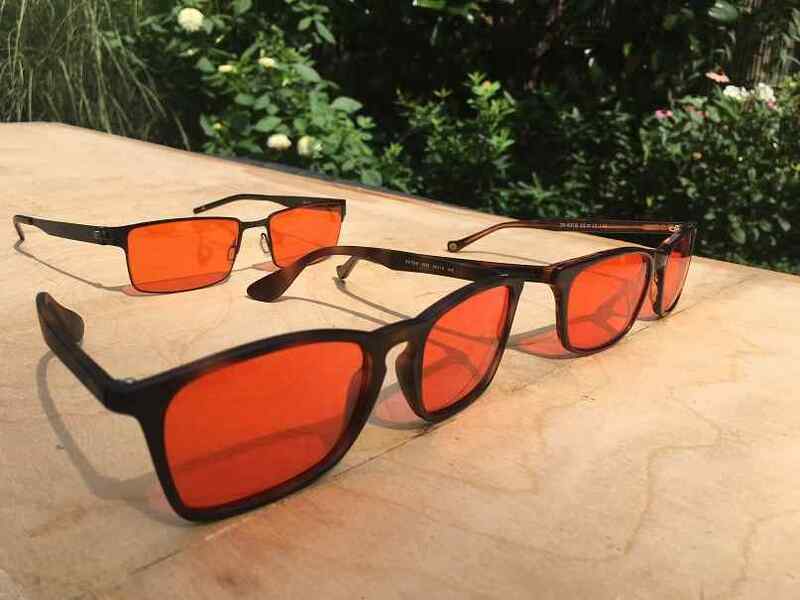 I've arrived at Ra Optics as this blog's primary partner for buying blue blocker glasses. Use the NBH1 code at the Ra Optics checkout to receive a 10% discount. (Disclaimer: I only became an affiliate of Ra Optics after having carried out the analysis above. I chose them because they are the best. I sincerely belief that Ra Optics sells the highest-quality products in the market right now). come in many different styles and frames. block all blue and most green light. can be bought in prescription form. are shipped to almost any place in the world. The owner of the company also has a clear vision to make our relationship to technology healthier. 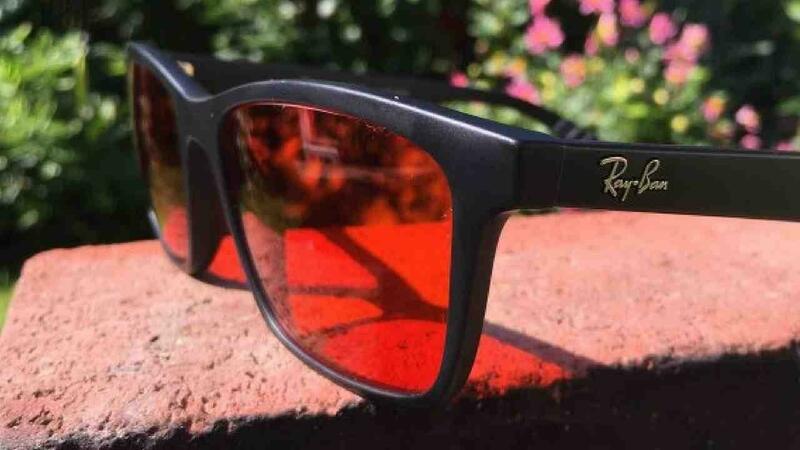 What's even more fortunate, is that Ra Optics offers a 100% money back guarantee. You can thus return your glasses if you are not fully satisfied. Furthermore, Ra Optics allows you to tint your current glasses with a blue blocking dye. That dye works amazingly to block all blue and most green light, and dying also means that you can keep your current model. If you already have blue blockers, or if you're considering buying a blue blocker, I can help you as well. I've collected information on some common blue blockers that are sold by other companies. That report should help you make your own choice. Now that you know how you can improve your sleep and energy, let me tell you about how my story ended. Since switching to blue blockers, I will never go back anymore. Lots of others in the health community actually share my sentiments. Even a single night of improved sleep because of wearing blue blockers can give you great results [33; 34]. Try it. You have nothing to lose. You don't have to wait for 2 weeks to feel the results. And you need to test blue blockers to find out how much better they make you feel. Returning to the argument I made before, you can only trust your feeling once you can compare between alternatives. To compare feelings, you first have to test a blue blocker. be more energetic during the day. And just to rephrase the message one more time: the only way to realistically block blue and green light in modern society is to wear blue blocker glasses--or you can just live under candle light after sunset. Let's go over the argument one more time. The main clock in the human body is located in your brain. That clock reacts to light. That clock also needs to stay close to the day and night cycle under which we have evolved as human beings. To stay close to the light and darkness cycle that humans evolved under, you need blue blockers. Blue blockers will keep the main clock in your brain, and the other clocks that are located in all the cells of your body synchronized. If these clocks run at different speeds, due to the influence of light, health problems arise. Please don't take away the message that blue and green light are bad for you. Blue and green light are great for you during the day - especially when they come from sunlight. But blue and green light at night will lower your melatonin production dramatically. Blue and green light at night also influence other hormones in your body. And with bad hormonal functioning, your health will suffer. You just have to be a bit weird to be healthy in modern society. Harvard Health: Blue light has a dark side. Systematic review of light exposure impact on human circadian rhythm. 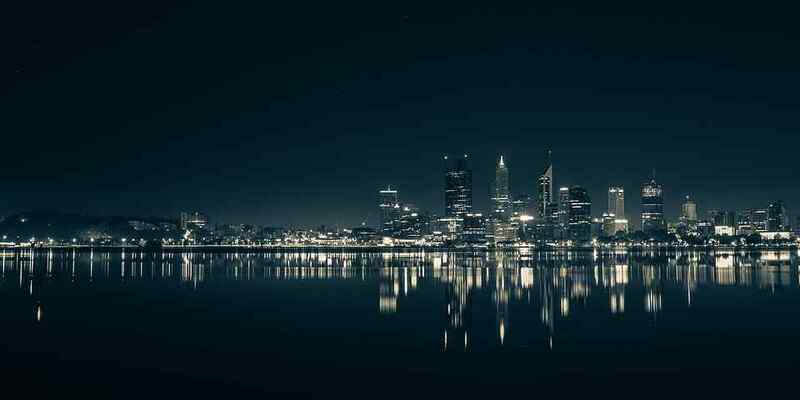 Effects of artificial light at night on human health: A literature review of observational and experimental studies applied to exposure assessment. American Academy of Opthalmology: should you be worried about blue light? F.lux software to make your sleep better. Let me end with some frequently asked questions about blue blocking glasses. "What if I just dim the lights at night? Can I avoid wearing blue blockers that way?" You can dim the lights. But with dimmed lights, the light in your house will still be thousands if not millions times as intense as the light under the night sky. Dimming the lights is not optimal by far. "Can I buy a cheaper blue blocker model?" Buying a cheaper blue blocker model is great for some people. You can get a cheap blue blocker for under $10. Subscribe in the form above to receive my 3-page report. That report will show you cheap blue-blocking glasses that I recommend for testing. So, a cheap blue blocker allows you to experience some of the effects that the higher-quality Ra Optics blue blockers will have for you. However, higher-quality blue blockers will always give you more results. "Why are blue blockers so expensive?" Blue blockers are not expensive. Let's assume that blue blockers give you an extra hour of deep sleep per night. That assumption is very valid [36; 37; 38]. Let's also assume that you're earning the minimum wage at around $10 an hour. Blue blocker glasses cost $150, including shipping. After wearing blue blockers for two weeks, you will already reach break even. 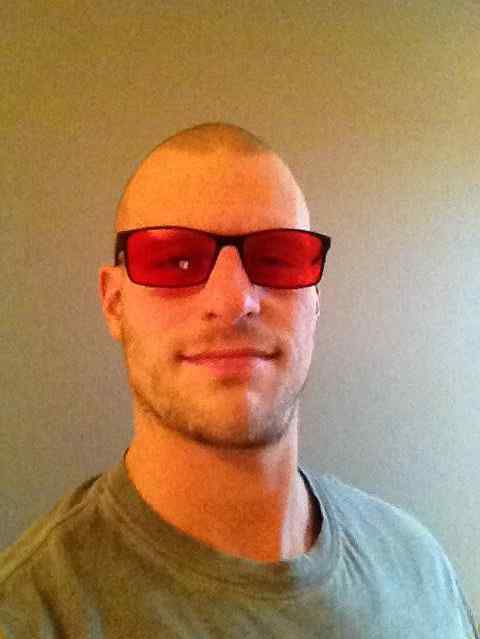 "Blue blockers look weird. People will look at me wherever I go"
 Costello RB, Lentino CV, Boyd CC, O'Connell ML, Crawford CC, Sprengel ML, Deuster PA. The effectiveness of melatonin for promoting healthy sleep: a rapid evidence assessment of the literature. Nutr J. 2014 Nov 7;13:106. doi: 10.1186/1475-2891-13-106. Ferracioli-Oda E1, Qawasmi A, Bloch MH. Meta-analysis: melatonin for the treatment of primary sleep disorders. PLoS One. 2013 May 17;8(5):e63773. doi: 10.1371/journal.pone.0063773. Print 2013. Alhola P1, Polo-Kantola P. Sleep deprivation: Impact on cognitive performance. Neuropsychiatr Dis Treat. 2007;3(5):553-67. Zamfir Chiru AA, Popescu CR, Gheorghe DC. Melatonin and cancer. J Med Life. 2014 Sep 15;7(3):373-4. Epub 2014 Sep 25. Srinivasan V, Spence DW, Pandi-Perumal SR, Trakht I, Cardinali DP. Therapeutic actions of melatonin in cancer: possible mechanisms. 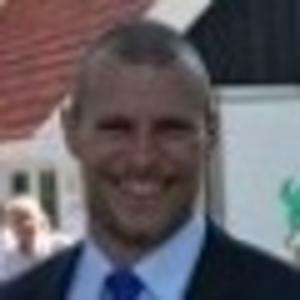 Integr Cancer Ther. 2008 Sep;7(3):189-203. doi: 10.1177/1534735408322846. Srinivasan V, Spence DW, Trakht I, Pandi-Perumal SR, Cardinali DP, Maestroni GJ. Immunomodulation by melatonin: its significance for seasonally occurring diseases. Neuroimmunomodulation. 2008;15(2):93-101. doi: 10.1159/000148191. Epub 2008 Aug 5. Carrillo-Vico A, Lardone PJ, Alvarez-Sánchez N, Rodríguez-Rodríguez A, Guerrero JM. Melatonin: buffering the immune system. Int J Mol Sci. 2013 Apr 22;14(4):8638-83. doi: 10.3390/ijms14048638. Patrick Y, Lee A, Raha O, Pillai K, Gupta S, Sethi S, Mukeshimana F, Gerard L, Moghal MU, Saleh SN, Smith SF, Morrell MJ, Moss J. Effects of sleep deprivation on cognitive and physical performance in university students. Sleep Biol Rhythms. 2017;15(3):217-225. doi: 10.1007/s41105-017-0099-5. Epub 2017 Apr 13. Moretti RM, Marelli MM, Maggi R, Dondi D, Motta M, Limonta P. Antiproliferative action of melatonin on human prostate cancer LNCaP cells. Oncol Rep. 2000 Mar-Apr;7(2):347-51. Bellipanni G, Bianchi P, Pierpaoli W, Bulian D, Ilyia E. Effects of melatonin in perimenopausal and menopausal women: a randomized and placebo controlled study. Exp Gerontol. 2001 Feb;36(2):297-310. Dominguez-Rodriguez A. Melatonin in cardiovascular disease. Expert Opin Investig Drugs. 2012 Nov;21(11):1593-6. doi: 10.1517/13543784.2012.716037. Epub 2012 Aug 23. Lin GJ, Huang SH, Chen SJ, Wang CH, Chang DM, Sytwu HK. Modulation by melatonin of the pathogenesis of inflammatory autoimmune diseases. Int J Mol Sci. 2013 May 31;14(6):11742-66. doi: 10.3390/ijms140611742. Korszun A, Sackett-Lundeen L, Papadopoulos E, Brucksch C, Masterson L, Engelberg NC, Haus E, Demitrack MA, Crofford L. Melatonin levels in women with fibromyalgia and chronic fatigue syndrome. J Rheumatol. 1999 Dec;26(12):2675-80. Chen WW, Zhang X, Huang WJ. Pain control by melatonin: Physiological and pharmacological effects. Exp Ther Med. 2016 Oct;12(4):1963-1968. Epub 2016 Aug 3. Bob P1, Fedor-Freybergh P. Melatonin, consciousness, and traumatic stress. J Pineal Res. 2008 May;44(4):341-7. doi: 10.1111/j.1600-079X.2007.00540.x. Koziróg M1, Poliwczak AR, Duchnowicz P, Koter-Michalak M, Sikora J, Broncel M. Melatonin treatment improves blood pressure, lipid profile, and parameters of oxidative stress in patients with metabolic syndrome. J Pineal Res. 2011 Apr;50(3):261-6. doi: 10.1111/j.1600-079X.2010.00835.x. Epub 2010 Dec 8. Arangino S, Cagnacci A, Angiolucci M, Vacca AM, Longu G, Volpe A, Melis GB. Effects of melatonin on vascular reactivity, catecholamine levels, and blood pressure in healthy men. Am J Cardiol. 1999 May 1;83(9):1417-9. Cagnacci A, Arangino S, Angiolucci M, Maschio E, Melis GB. Influences of melatonin administration on the circulation of women. Am J Physiol. 1998 Feb;274(2 Pt 2):R335-8. Nishiyama K, Yasue H, Moriyama Y, Tsunoda R, Ogawa H, Yoshimura M, Kugiyama K. Acute effects of melatonin administration on cardiovascular autonomic regulation in healthy men. Am Heart J. 2001 May;141(5):E9. Jung CM, Khalsa SB, Scheer FA, Cajochen C, Lockley SW, Czeisler CA, Wright KP Jr. Acute effects of bright light exposure on cortisol levels. J Biol Rhythms. 2010 Jun;25(3):208-16. doi: 10.1177/0748730410368413. Kostoglou-Athanassiou I1, Treacher DF, Wheeler MJ, Forsling ML. Bright light exposure and pituitary hormone secretion. Clin Endocrinol (Oxf). 1998 Jan;48(1):73-9. Cheung IN, Zee PC, Shalman D, Malkani RG, Kang J, Reid KJ. Morning and Evening Blue-Enriched Light Exposure Alters Metabolic Function in Normal Weight Adults. PLoS One. 2016 May 18;11(5):e0155601. doi: 10.1371/journal.pone.0155601. eCollection 2016. Sarode BR, Kover K, Tong PY, Zhang C, Friedman SH. Light Control of Insulin Release and Blood Glucose Using an Injectable Photoactivated Depot. Mol Pharm. 2016 Nov 7;13(11):3835-3841. Epub 2016 Oct 15. Hand LE, Hopwood TW, Dickson SH, Walker AL, Loudon AS, Ray DW, Bechtold DA, Gibbs JE. The circadian clock regulates inflammatory arthritis. FASEB J. 2016 Nov;30(11):3759-3770. Epub 2016 Aug 3. Gibbs JE, Ray DW. The role of the circadian clock in rheumatoid arthritis. Arthritis Res Ther. 2013 Feb 21;15(1):205. doi: 10.1186/ar4146. Takeda N1, Maemura K2. Circadian clock and the onset of cardiovascular events. Hypertens Res. 2016 Jun;39(6):383-90. doi: 10.1038/hr.2016.9. Epub 2016 Feb 18. Altman BJ, Hsieh AL, Sengupta A, Krishnanaiah SY, Stine ZE, Walton ZE, Gouw AM, Venkataraman A, Li B, Goraksha-Hicks P, Diskin SJ, Bellovin DI, Simon MC, Rathmell JC, Lazar MA, Maris JM, Felsher DW, Hogenesch JB, Weljie AM, Dang CV. MYC Disrupts the Circadian Clock and Metabolism in Cancer Cells. Cell Metab. 2015 Dec 1;22(6):1009-19. doi: 10.1016/j.cmet.2015.09.003. Epub 2015 Sep 17. Crowley SJ, Cain SW, Burns AC, Acebo C, Carskadon MA. Increased Sensitivity of the Circadian System to Light in Early/Mid-Puberty. J Clin Endocrinol Metab. 2015 Nov;100(11):4067-73. doi: 10.1210/jc.2015-2775. Epub 2015 Aug 24. Ackermann K, Plomp R, Lao O, Middleton B, Revell VL, Skene DJ, Kayser M. Effect of sleep deprivation on rhythms of clock gene expression and melatonin in humans. Chronobiol Int. 2013 Aug;30(7):901-9. doi: 10.3109/07420528.2013.784773. Epub 2013 Jun 5. Cedernaes J, Osler ME, Voisin S, Broman JE, Vogel H, Dickson SL, Zierath JR, Schiöth HB, Benedict C. Acute Sleep Loss Induces Tissue-Specific Epigenetic and Transcriptional Alterations to Circadian Clock Genes in Men. J Clin Endocrinol Metab. 2015 Sep;100(9):E1255-61. doi: 10.1210/JC.2015-2284. Epub 2015 Jul 13. Burkhart K, Phelps JR. Amber lenses to block blue light and improve sleep: a randomized trial. Chronobiol Int. 2009 Dec;26(8):1602-12. doi: 10.3109/07420520903523719. Bedrosian TA, Nelson RJ. Timing of light exposure affects mood and brain circuits. Transl Psychiatry. 2017 Jan 31;7(1):e1017. doi: 10.1038/tp.2016.262. Esaki Y, Kitajima T, Ito Y, Koike S, Nakao Y, Tsuchiya A, Hirose M, Iwata N. Wearing blue light-blocking glasses in the evening advances circadian rhythms in the patients with delayed sleep phase disorder: An open-label trial. Chronobiol Int. 2016;33(8):1037-44. doi: 10.1080/07420528.2016.1194289. Epub 2016 Jun 20. 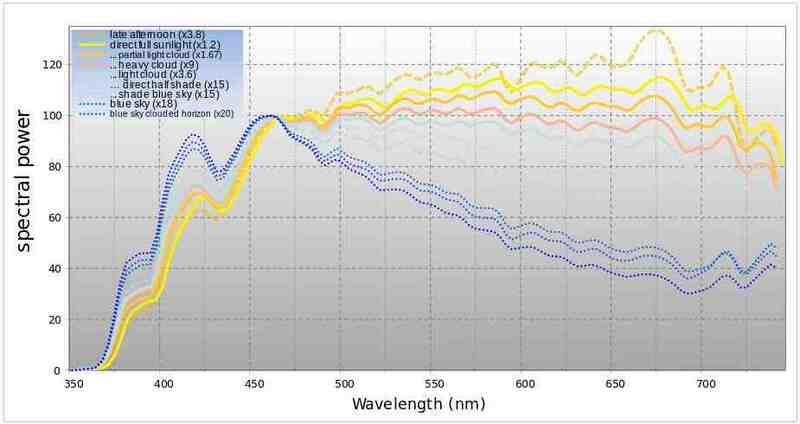 Ayaki M, Hattori A, Maruyama Y, Nakano M, Yoshimura M, Kitazawa M, Negishi K, Tsubota K. Protective effect of blue-light shield eyewear for adults against light pollution from self-luminous devices used at night. Chronobiol Int. 2016;33(1):134-9. doi: 10.3109/07420528.2015.1119158. Epub 2016 Jan 5.